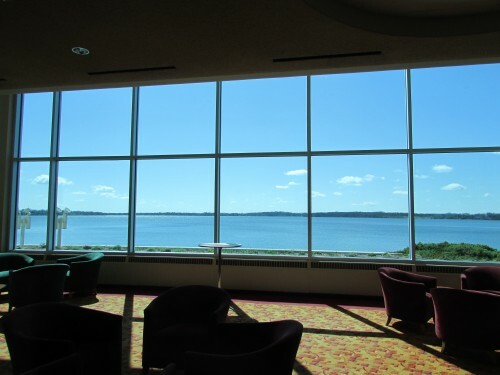 The Monona Terrace was completed in 1997 after MANY years of the city debating whether to build it or not. It was originally proposed in 1938. They finally did, but at the expense of the mural that is at street level going under the building. The building is based on a Frank Lloyd Wright design. The tour began at 1:00, and I was the only person that day. It began at the gift shop. 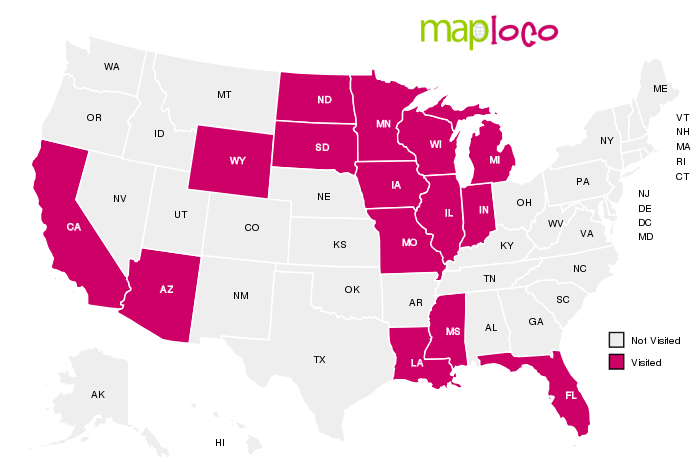 In 2015 it is $5 for a tour. 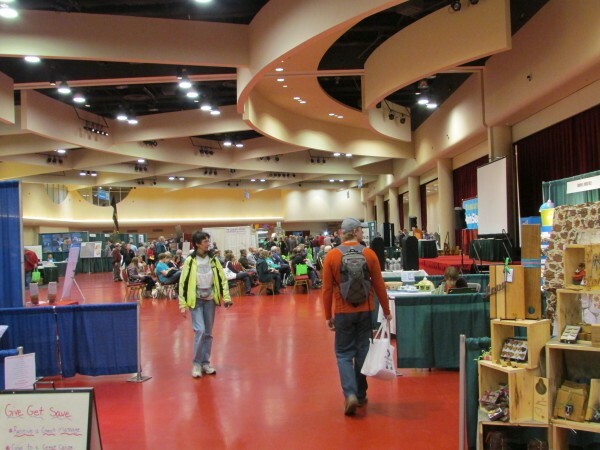 We went down to the large room where the indoor winter farmers market is held, along with other large events. Here is the room on a different day with an event going on. Its huge! 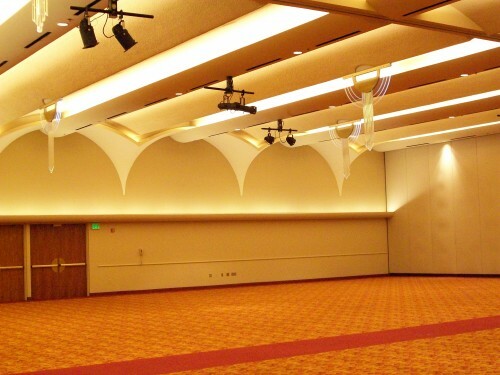 My guide showed me the Ballroom, appearing even larger due to it being currently empty. 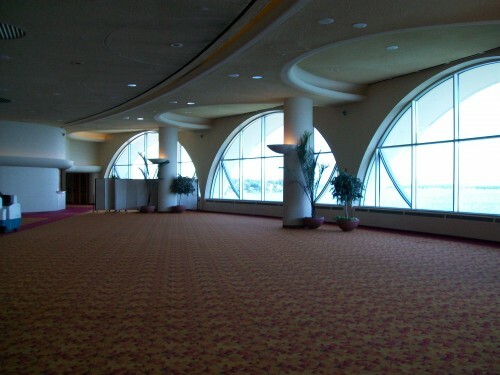 The large windows are part of a room often used for wedding receptions. This one is on the lower level. The upper level houses a similar room, but larger. 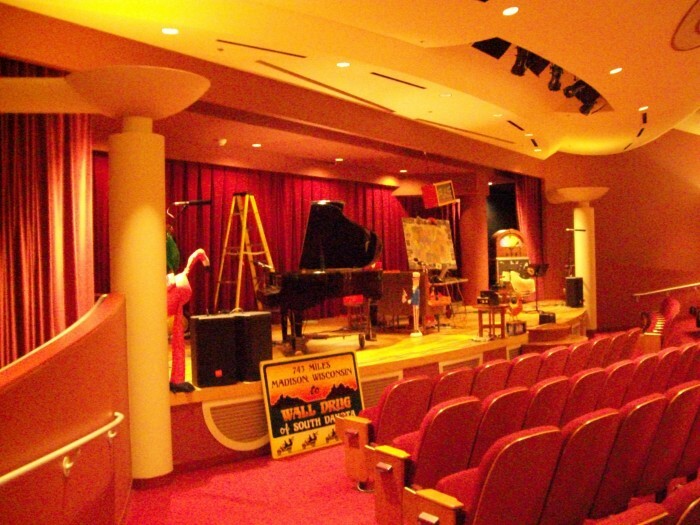 I also saw the auditorium where the radio show, “Whad’ Ya Know?” is broadcast LIVE on Saturdays. We ended the tour on top of the huge patio overlooking Lake Monona. 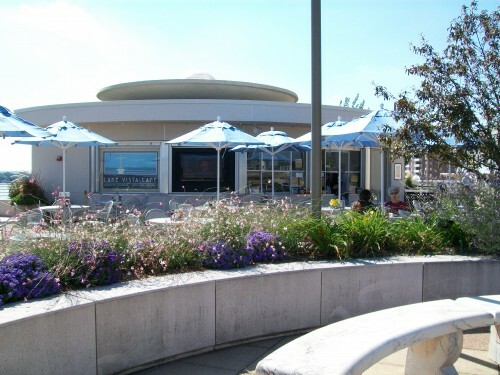 You can have lunch at the Grandview Cafe, open during the warmer months. I had a very enjoyable tour of both the Capitol and the Monona Terrace that day.